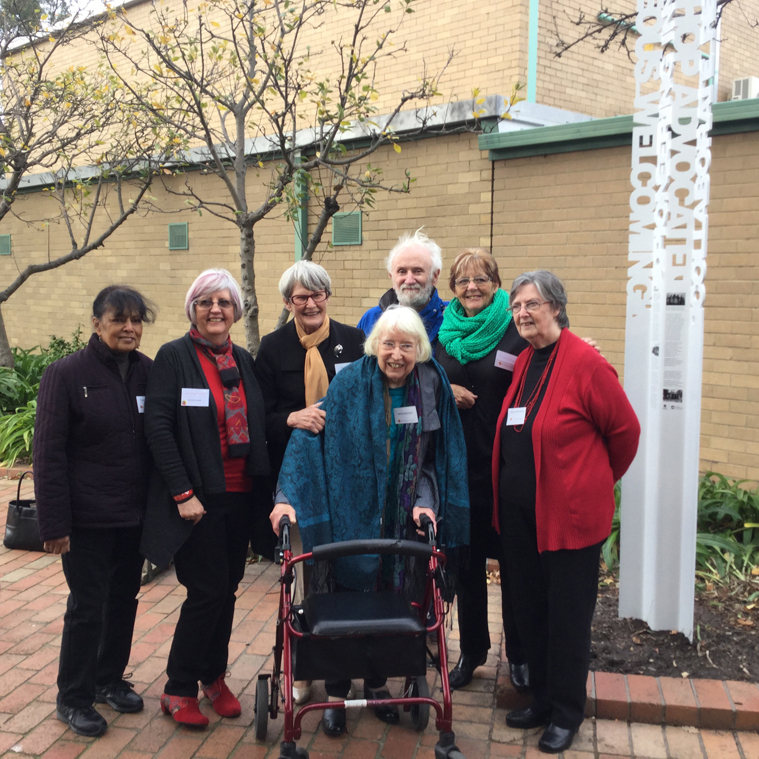 This marker was unveiled on Sunday, June 26th, 2016 by the member for Hotham, the Hon Clare O’Neill who has been a long time supporter of SCAAB as a volunteer, and a committee member and the Mayor Cr Heang Tak. The Hon Mark Dreyfus also spoke in support of all the Services SCAAB had provided to the community over the years. Why do we bother with recording history? Because there is so much to learn which is relevant today. Nine years ago when we first met to discuss a possible exhibition at the Melbourne Immigration Museum we knew we lived in a very special place and had experienced the most extraordinary transformation that any area could undergo but we didn’t recognise the richness of the history we were uncovering. And who would have thought that the recording of this wonderful history would still be continuing today. Without the interest and the passion of the community the very successful exhibition would have been the end of our work. But the community began to make many requests. First of all they wanted our own museum to be built - but we created a website as a compromise, Then they wanted some sort of physical presence in Springvale which would acknowledge the importance of Enterprise and the contribution refuges and migrants had made to the area. We applied for and received a grant to go back and consult with the community as to what form that should take. So what has all this taught us? Contrast this with the way we treat newcomers, especially asylum seekers today =limited access to services no real welcome. We did so much better in the past. We can do it again if only we could find the will. We have a great example to follow if only we could find a similar vision and commitment. At the launch of the marker were ( L - R): Joyce Rebeiro, Heather Duggan, Jan Trezise, Don Macleod, Rosemary Macleod and Betty Wilderman. Front - Merle Mitchell. Welcome to the site of the Springvale Community Aid and Advice Bureau (the Bureau), now known as South East Community Links. 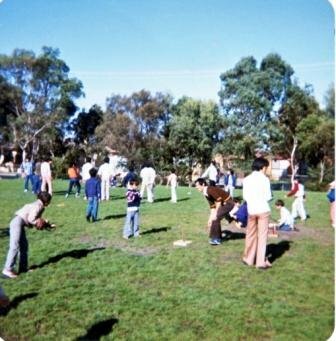 After extensive consultation with the Springvale community, the Bureau was established in 1970 to provide information and to address issues of isolation and a lack of community services. The organisation quickly developed a reputation as a responsive and relevant service with a pioneering and innovative approach. The Bureau’s philosophy was based on several key principles – an equal partnership with Council, community driven services, networking as a basis for service development, community representation on the Committee of Management and a courageous determination when approaching Government departments for funding. The Bureau was located in Osborne Avenue Springvale. 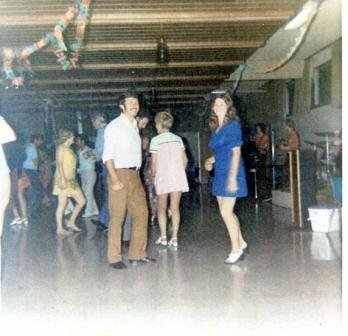 When it opened in early 1970, one of its key priorities was to establish comprehensive settlement services for residents at the recently opened Enterprise Migrant Hostel. The organisation responded to the needs of the Enterprise residents with one of Australia’s first interpreter services, the ethnic teacher’s aide program, the migrant host scheme, the family day care, and emergency relief – all provided by volunteers. Representatives from the Bureau regularly worked at Enterprise, providing on-site services to new arrivals. led walking tours from Enterprise to the Springvale central district, familiarising new arrivals with services relevant to their needs. Such walks are now common practice in settlement services. The work of the Bureau was fundamental in helping the newly arrived migrants and refugees to establish Springvale, and Australia, as their new home. Of the over 30 000 new arrivals who entered the country through the Enterprise Migrant Hostel, substantial numbers settled inSpringvale. They have made a major contribution to the economic and social life of the community. 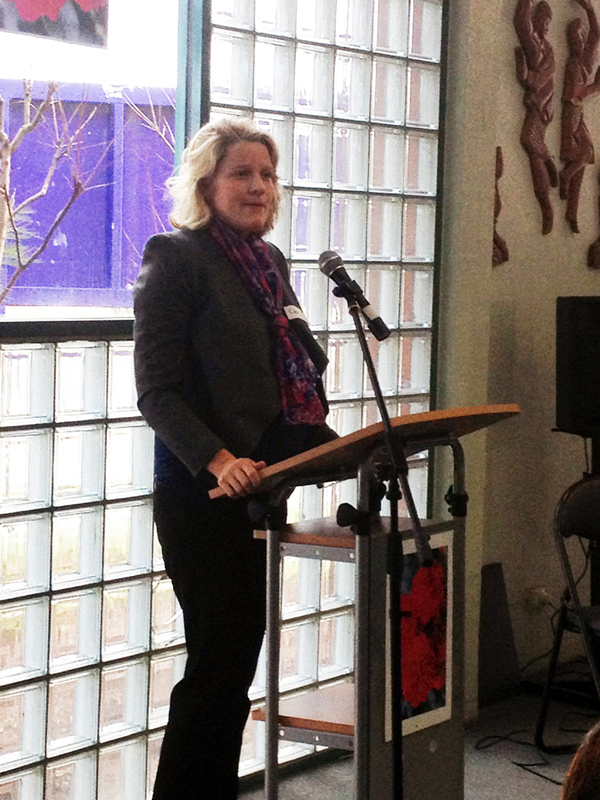 The vibrancy and cultural diversity of the community is a celebrated feature of Springvale today. The settlement strategies and programs developed by the Bureau were innovative, unique, responsive, and highly successful. The Bureau approach has been emulated nationwide, and is still considered a benchmark for settlement services. The Bureau’s focus on settlement services continues to this day, as does the partnership with the Council of the City of Greater Dandenong. “I came here to get help, I then became a volunteer, obtained tertiary qualifications, became a student on placement and then a paid worker” – Several paid workers. The community organised and catered for a wedding for two of the detainees. 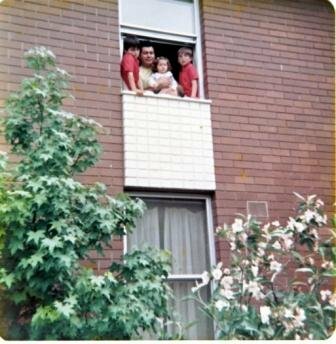 The Ugarte family looking out the window from their unit. 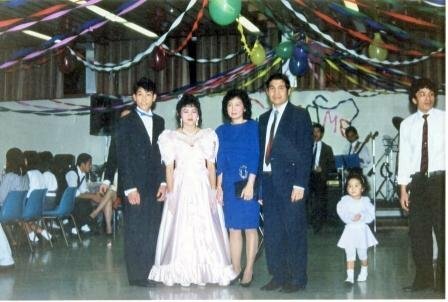 Social events, including dances and parties, were always popular. Team games encouraged mutual respect.